Just as every page of your online store, a 404 error page shouldn’t be neglected.This page is like Monday: no one wants it to come, no one likes it, but you can’t avoid it. That’s why it is better to pay special attention to this “hope-I-will-never-see-you” page and use it to strengthen customer relations. We have compiled the best advice to help you create a great 404 error page. Let’s start! 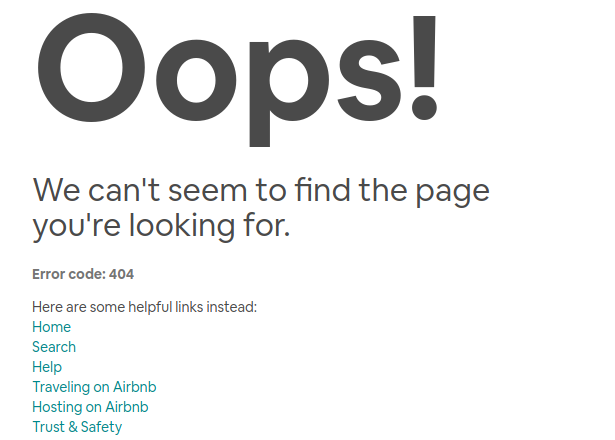 A 404 error is also known as “page not found”. It is probably the most common error you can run into while browsing. This error appears every time you follow a broken link or type incorrect URL in the address bar within an active website. Broken links could damage your website positions as they are the indicators of low quality for search engines. That’s why it is better to remove them or replace with relevant links. But even if there are no broken links on your online store, a 404 page may appear in case of customer’s mistyping. And it is your chance to show your creativity and sense of humor and boost your sales. 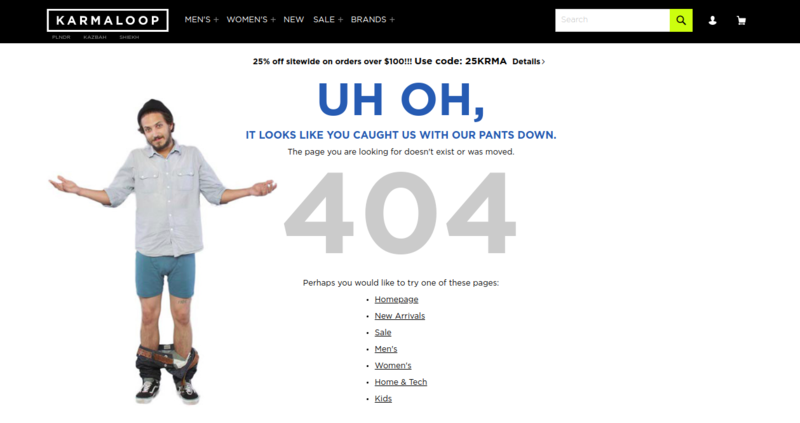 Almost all webstore themes have a default 404 page. Yes, it is very easy (and boring, to be honest) to use the standard template. But who said that it is right? Create a unique and functional webpage, that will help your customers figure out what to do next, where to go now or simply entertain them. Here is some working advice with explanation and screenshots from world famous brands. Learn about their experience to improve your online store. Seriously, your customer doesn’t want to see this page. He did something wrong and now he is worried. Calm him down by taking the blame on yourself, apologizing, explaining what has happened and how to fix it. After that, you can ask the customer to help you and notify about the broken link. The best thing you can do when someone is lost is to give him a map. It also works in ecommerce. Turn a 404 page into your advantage. Use it to promote your products or articles. Emotions are something that everyone likes and appreciates. 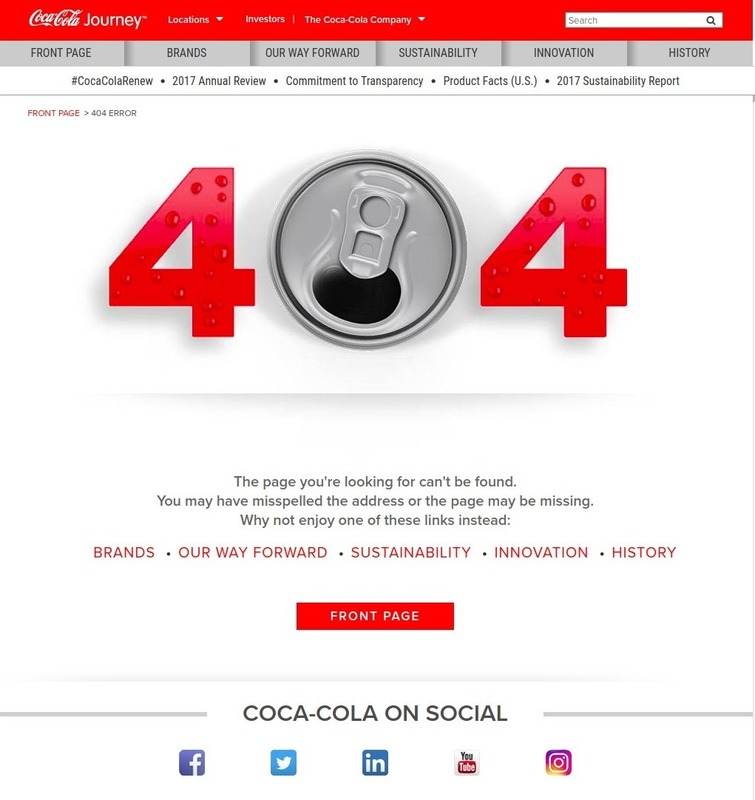 Use them to make your 404 page more alive. Every customer wants to know that there are real people behind the webstore. The best way to show it is to communicate. Ask something, make a joke, act as if the clients were your good friends and you will really make ones. Humor is something that always helps. You can check for yourself. The main trend of the last few years is animation. 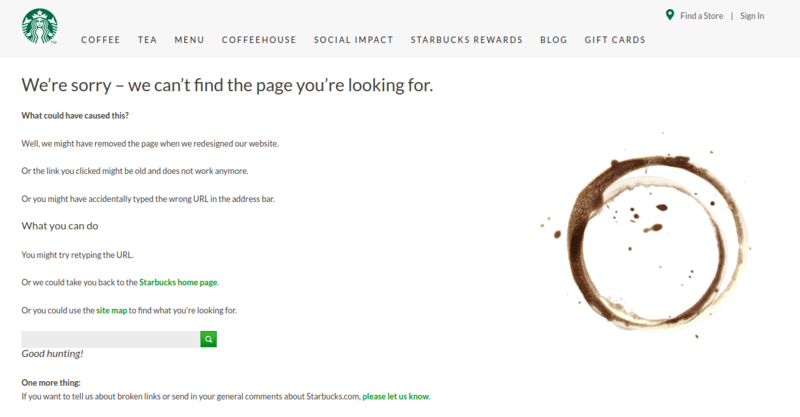 Use a 404 page for social media optimization. Our last but not least advice is to create this page in the corporate style. Make it similar to other pages, use the same colors and fonts. Thus, even if a customer sees a 404 page, he will understand that he is at least on the site he was looking for. Remember that all pages of your online store were created to work for you. And a 404 error page is not an exception. Creative, funny, user-friendly it could help you gain customer loyalty.